A short note on the statistical information for regional policies was published by José Cervera in the “Strategy for Development” magazine published by the Ukrainian REGIONET network of specialists. 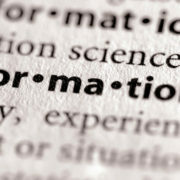 This communication takes place in the framework of the U-LEAD programme (http://u-lead.decentralisation.gov.ua/), financed by the EU and the governments of Germany, Poland, Sweden, Denmark and Estonia to support the process of decentralisation and regional development in Ukraine, where José acts as advisor on statistics and indicators for policy monitoring and evaluation. Find the short notice here. 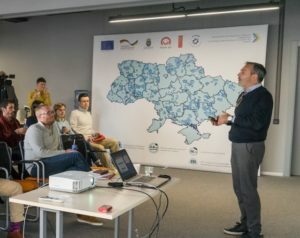 In the context of the political decentralisation in Ukraine and the devolution of competences on regional development, DevStat’s CEO José Cervera delivered a presentation on the methodology for the production and analysis of territorial statistical indicators to the staff of GIZ and other international experts in Kiev. The experience of DevStat in local and regional statistics includes not only the current project in Ukraine, but also the implementation of a 2-year project in Moldova on the production of regional GDP and other statistics, the methodological support to Eurostat in the definition of “labour market areas” and the creation of a database on Local Administrative Units (LAU) lifecycle, and the assessment of regional statistics in Tunisia.